Every girl has her favorite type of razor. But that is an old-reliable for shaving legs and underarms. When it comes to the bikini area, you want something gentler and more versatile. Which is where the bikini trimmer comes into play. An all-purpose trimmer can easily take care of the tight, delicate areas you want to keep clean for a perfect bikini line. 1 Why bikini trimmers are better than razors? 3 What are the benefits of trimming? Why bikini trimmers are better than razors? Shaving the bikini might seem like a simple task. But if you are not careful, the shaving can become traumatizing. Shaving is difficult because of many reasons. For starters, you are operating with a sensitive area, and the skin can easily be irritated. More importantly, it is a tight area where it is hard to accurately navigate a normal razor. Last, but not least, traditional razors are not designed to deal with delicate skin in the bikini area. A traditional razor is formulated to cut through the coarse hair on the face, legs, and armpits. But that is not the case with the bikini area. While both the trimming and shaving are painless methods, there is one huge difference. And that is a razor cuts the hairs as close to the skin as possible, while a trimmer cuts parts of the hair, but parts of it still remain at the surface. And while razors offer incredibly smooth skin, they do not provide long-lasting results. The hair will start growing back in the first two days. And unlike a trimmer, a razor cannot help you achieve some of the popular bikini styles. Trimming also prevents nicks, cuts, irritation, and itching, things common if you shave the bikini line. The key to trimming the bikini line is preparation. You have to prepare before shaving/trimming. And while that sounds easy, it is not. With that in mind, here is a quick guide on how to trim your bikini area. What are the benefits of trimming? If you want a clean and well-maintained look down there, but you do not want a completely bare look, it might be time to shop for the bikini trimmer. When you are buying a product you will use in your intimate area, you want to do as much research as possible. Choosing the best bikini trimmer is not an easy task. Therefore, we want to tell you some things you need to consider before buying one. Nowadays, there are many bikini trimming styles. The intimate area has become as popular as the hair area. Women want to impress the one who gets to have a look down there. With that in mind, here are five popular styles for trimming. The versatile all-in-one shaver was primarily designed to serve as a whole body trimmer. But its shape makes it perfect for curves of the bikini line. In addition, the electric shaver will minimize the nicks and bumps you might get from the shaver. Another positive is that the device can be completely submerged, making it perfect for use in the shower. With four floating blades/foils, the shaver can easily pivot into a delicate curve with no problem. But the most important feature is that the razor is hypoallergenic, which is key for going over sensitive intimate areas. And as a bonus, it is discrete and easy to travel, so you can take it with you wherever you go. This razor-trimmer combo is one of the cheapest you can find on the market. And it gets the job done, whether you want to shave some part of your body, or just trim the bikini area. Most importantly, it is a very cheap product, and the razor works on all skin types. Even if you have sensitive skin, you can use it thanks to the water-activated Hydra-boost serum. 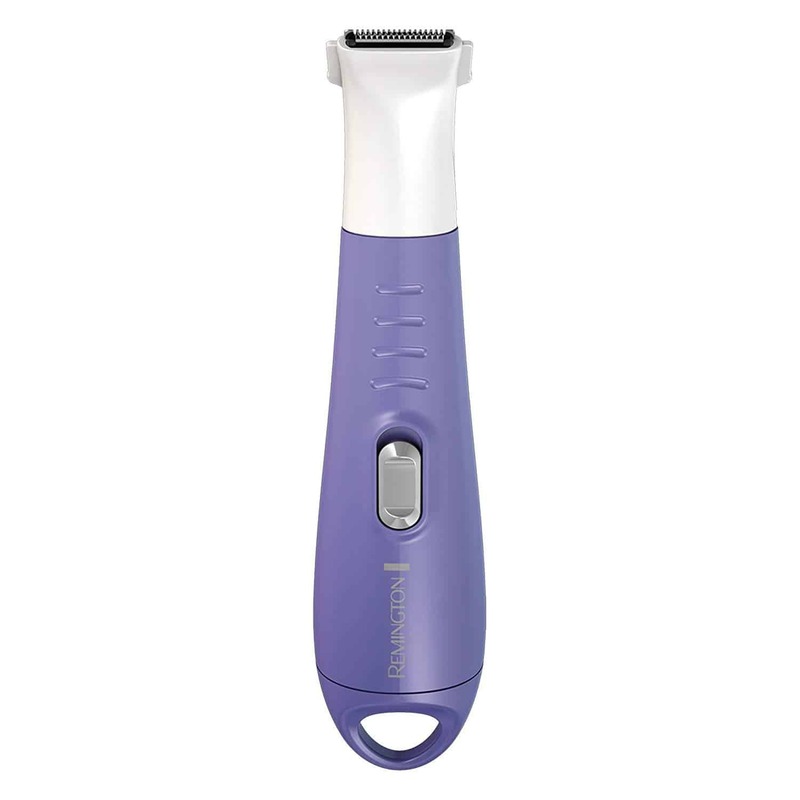 The razor works with refills, and if you want to trim your bikini area, there is a built-in waterproof bikini trimmer. Offering 4 different trim lengths, you can get a lot of variety, no matter if you want close shave or something more. 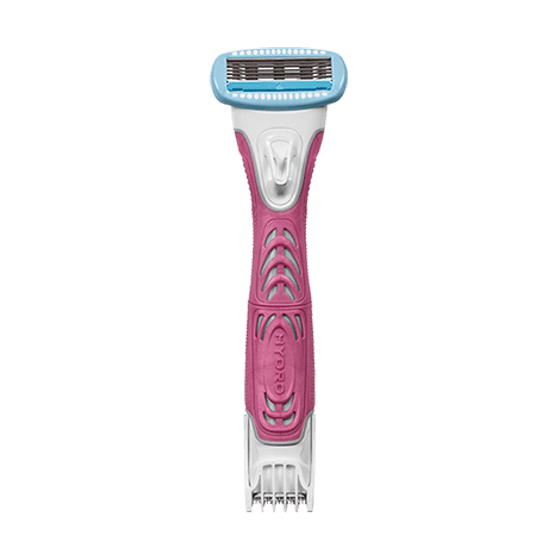 Designed for the bikini area specifically, this electric razor comes with a tiny head, allowing you to choose the amount of hair removal and shape you want. If you want completely clean trim, there are two comb attachments. You can use it from every angle, and it is safe for the bikini area. What this razor promise is precision, and that is what you get. Sleek and compact design for good maneuverability. This Panasonic product is a combination of an electric razor and a trimmer. It is widely considered one of the best electric razors on the market. And it comes with a trimmer, which is even more impressive. Add in the great price, and you have quite an amazing product. You can use the razor for a close shave, almost as close as a normal razor, and the trimmer is perfect for the bikini area. Even more, you can use the trimmer on the whole body. Because it is rechargeable, there is no need for new batteries. And you can use on both dry and wet skin. 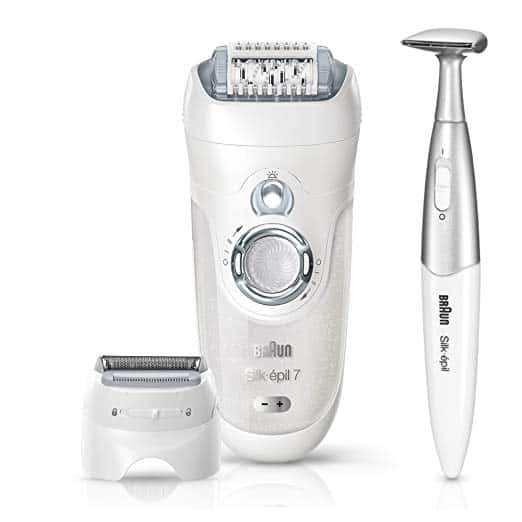 If you are willing to spend a little more money on the best bikini trimmer, Braun has the product for you. The company is widely regarded as one of the best when it comes to hair removal products. 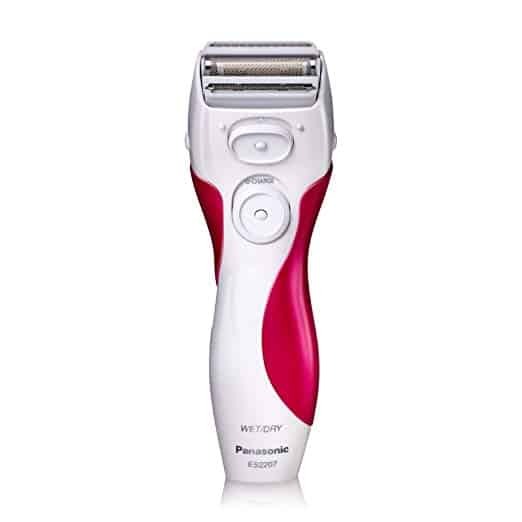 This one, in particular, works both as an epilator and a trimmer. 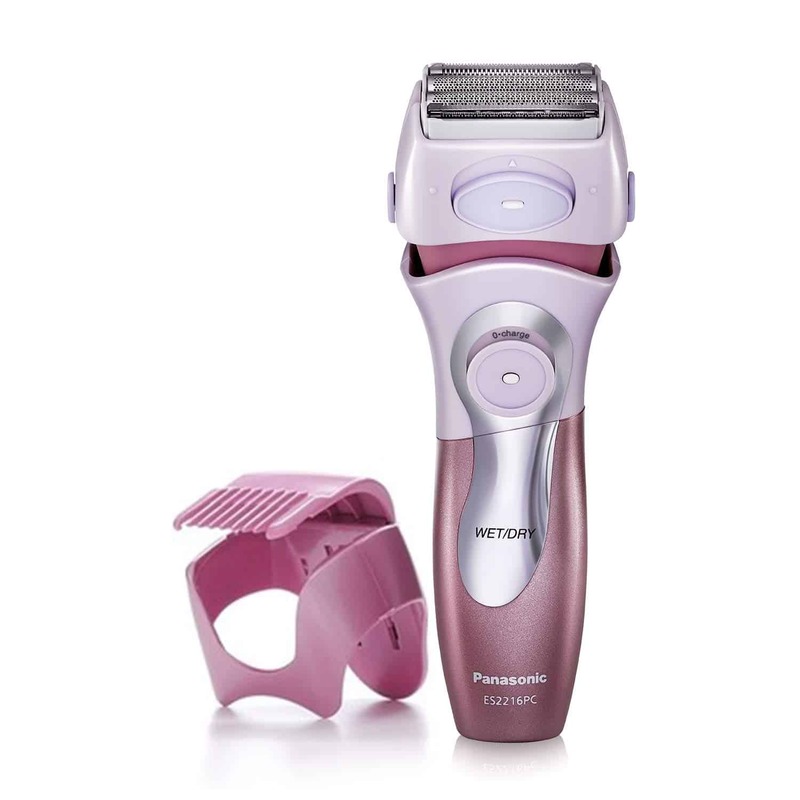 Because of the shaver head of the epilator, you can use it in different areas of your body. You even get a flashlight that will help you find and remove even the shortest possible hair. With 40 close grip tweezers, you are getting enough power for epilation. Veet is another company that specializes in hair removal. 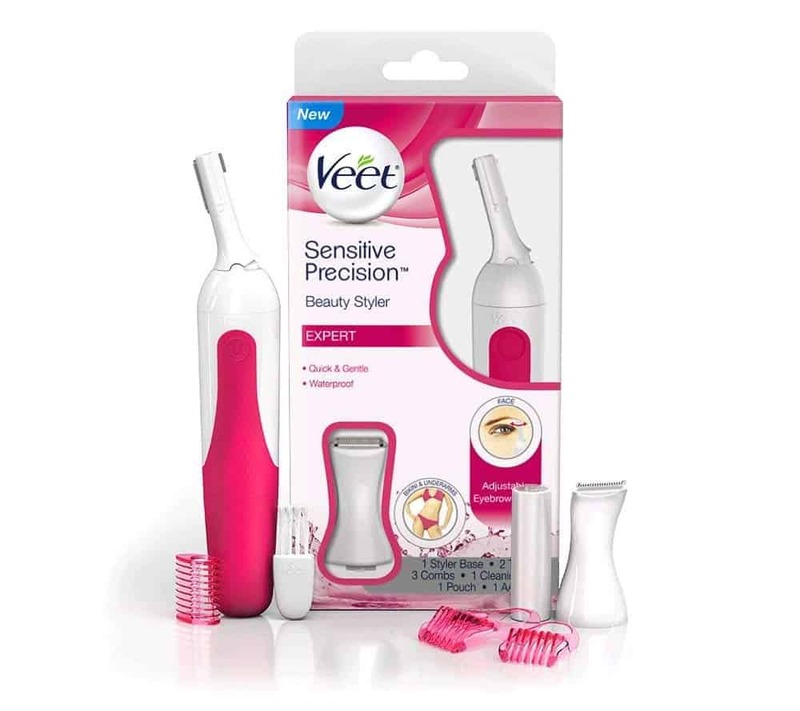 You can find anything from waxing strips to epilators and trimmers in Veet. This sensitive precision electric trimmer is a successful combo that is neither a razor nor an electric shaver. You can use it for your bikini area, but also as an eyebrow shaper. And thanks to its small and compact size, the Veet product is perfect for traveling. It takes little to no time to shape your bikini area. Comes with 2 lengths, 2mm and 4mm, and can be used under water. If you want to get some lightweight, disposable trimmers for your traveling, this is the product for you. As a bonus, the trimmers work as razors if you want to be totally hair-free. With skin smoothing shea butter, they promise to deliver smooth and irritation-free trim. The grip handle is quite easy to hold and maneuver. Specially made for the bikini area, they are life-savers when you are on a holiday. For those of you who want to feel luxurious while trimming their intimate area, the Art of Shaving has the products for you. This is another high-class product in its portfolio. The top-rated rose gold razor is made with an irritation-free stainless steel safety blade and weighted handle that can do wonders around edges and curves in the bikini area. 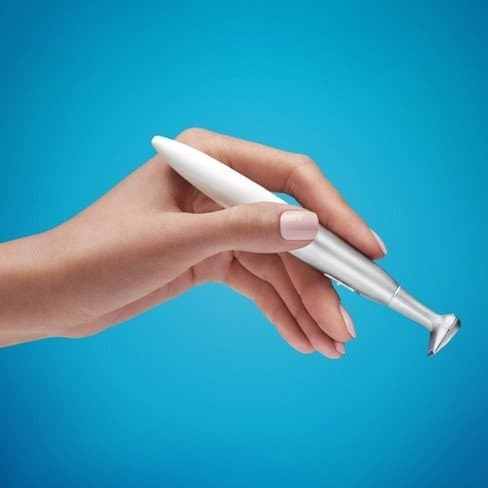 You get a close cut without the razor burns or ingrown hairs. 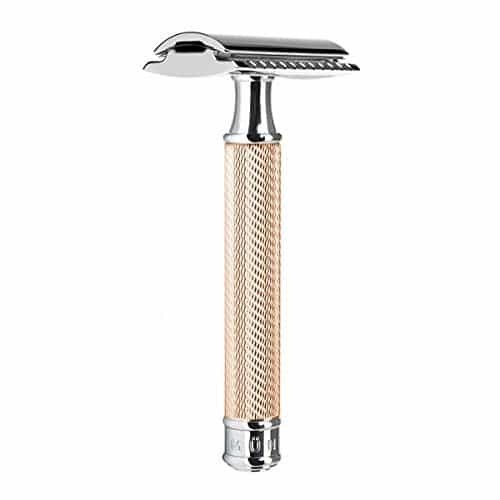 Some features include closed comb, double-edged razor, and finely engraved detail handle. It is all about the luxury details for some women. 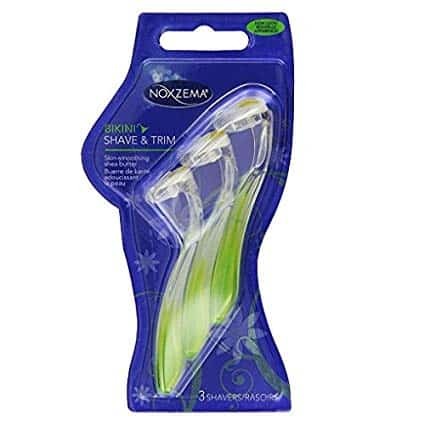 If there is one product that we can say is the best bikini trimmer, it is probably this one. You get everything you want and need from a trimmer. 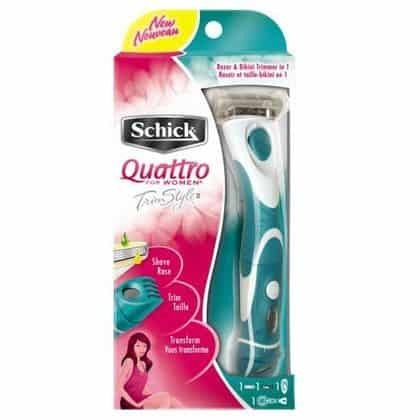 Schick has made a name for itself in the shaving area, and the Quattro remains one of the most popular razors. Before there was the Schick Hydro, the Quattro was the product to buy. Double-sided, you get a four-blade razor on one side, and a bikini trimmer on the other side. With a wide pivoting head, you can do almost anything you like with your body hair. The trimmer comes with a couple of adjustments, including three different lengths for the hair. You can even remove the comb completely for a close shave. Waterproof, with a contoured rubber handle so you can use anywhere. Remington is another company that specializes in hair removal products. This one is a bikini trimmer primarily but also doubles as an exfoliation brush. Given that exfoliation is important in skin care, the trimmer gives you a little bit more than just a nice bikini hairstyle. Designed to be thin, precise, and lightweight, the handle is easy to grip and allows high levels of precision. You get three heads, round exfoliation brush, comb for bikini trimming, and a bare razor for a close shave.